THE MARTINI CHRONICLES: Martini Thursdays...Raspberry Limeade Martini!!! So...I just go home from the office, and I'm anxiously waiting for Scandal to come on. Three weeks is way too long to wait for a new episode! So while we wait for 10 o'clock to arrive, why not enjoy a new martini recipe. I am almost embarrassed to admit that this will be the first martini recipe of 2013...no judgment please! Just accept my sincere apology in the form of the yummy Raspberry Limeade Martini. Enjoy! 1. In a shaker, combine Vodka, Chambord, Lime Juice, and Ice. Shake! 2. 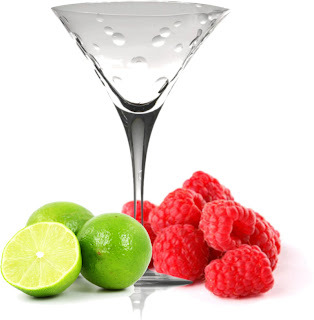 Drop a few frozen raspberries into a chilled martini glass. There you have it! Now you're all ready for Scandal tonight. Let me know how you like it! Drink Responsibly! It has! I got a whole new design for 2013. You really should try some of the recipes. With the new design it is easier to get a hold of them. just click on the Martini Thursdays tab at the top of the page, and all of the recipes should appear! would lock in the rate that could be charged through 2010 at 7.
current times in up to five different cities worldwide at a go. I don't like the classic martini, but I love the fruity ones! I have tons of them! And most of them are fairly simple! Sounds yummy! Sweet and simple! Thanks for stopping by and checking me out!